Helena Killeen (1863-1950) married Peter Dolan (1863-1946) (picture left) in Notre Dame Basilica, Ottawa on 15 Nov 1885. Their fifth child, was Gertrude Pearl (1894-1978), my grandmother. Helena’s father, Dennis Benjamin Killeen (1829-1914) was married to Ellen O’Brien. It’s through Dennis Benjamin that we’ve been able to trace the family back to Ireland. An earlier mention of the same information came in a talk by Mrs. M.H. Ahearn, “The Settlers of March Township,” which was first read before the Women’s Canadian Historical Society of Ottawa on 10 March 1899, and later published by the Ontario Historical Society [Mrs. M.H. Ahearn, “The Settlers of March Township,” Ontario Historical Society, Papers and Records, vol. 3 (Toronto: 1901; reprint, Millwood, New York: Kraus Reprint Co., 1975), pp. 98-99]. Denis, born around 1786 in the parish of Meelick in East County Galway, Ireland, had served under Captain John Benning Monk in the 97th Regiment of Foot. He had apparently then followed Monk to March township as some sort of domestic (or “soldier servant,” in Mrs. Ahearn’s words). He later received a patent from the Crown, in 1828, for 100 acres at Concession 3, Lot 11, March township. Thanks to Mary Catherine Moran for these details from her website Ottawa Valley Irish. 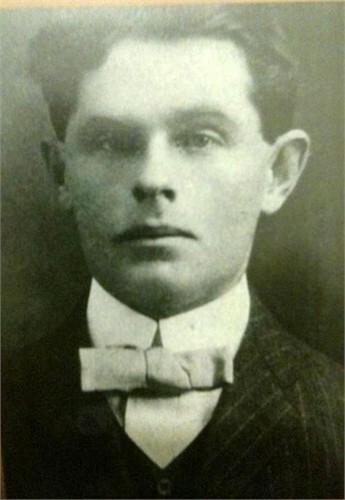 Fergus Vincent O’Connor (1890-1915) married Harriet Ann (Hattie) Dolan (1889-1923). Joseph Emmett O’Connor (1889-1964) married Agnes Sevina Dolan (1890-1973 ). 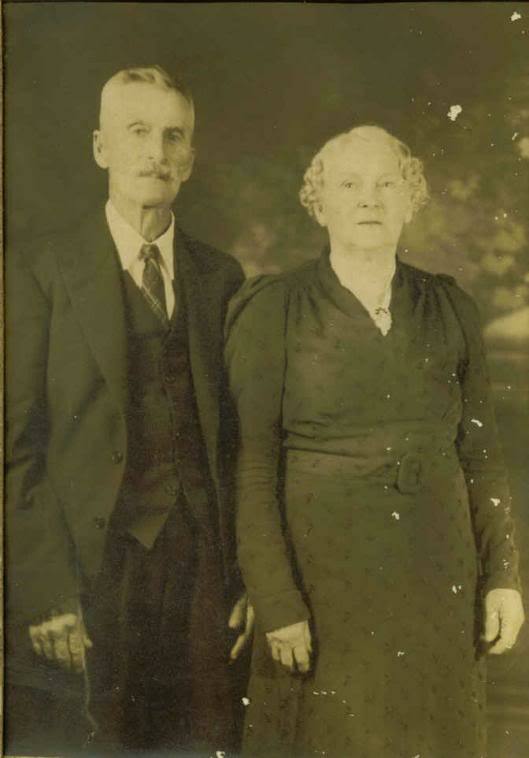 Daniel Patrick O’Connor (1881-1965, pictured left) married Gertrude Pearl Dolan (1894-1978). Fergus, Emmett and Daniel were brothers — all farmers in the area of Osgoode. Hattie, Agnes and Pearl were all farmers’ daughters in the Dunrobin area. How did these O’Connor boys end up meeting the Dolans, as Osgoode and North and South Gower are a hefty distance from Renfrew South ? It could have been in the days of logging down the river. I remember my Dad saying that his Dad (Daniel P.) had gone by train to visit Pearl. Seems like he said it was the next stop along the train route. Then it was a bit of a ride by wagon. Don’t know what there was there in the Renfrew area that they would be familiar with at that stop (besides the Dolan girls! ), but I will be looking to see what was in Renfrew in those days, hunting down a town directory. Did they maybe meet in church? Apparently there were big dances at halls, not sure if church halls, or town halls. I suspect the 3 O’Connor boys met the 3 Dolan girls in that manner. It would be about 30 miles from North Gower to Dunrobin. The Rideau River runs close to Osgoode/North Gower and empties into the Ottawa River which travels up by Dunrobin/Fitzroy Harbour. There was a train that went to Chalk River in those days, which is on the correct pathway. Not sure where they would have boarded .. possibly on a train to Ottawa, and then changed trains.